VE Arbutus (VEA) is a local Baseball and Softball League with fields located in the Richland area of Johnstown. We are chartered under Little League International. It is our belief that all kids should have the opportunity to play baseball. The Little League Challenger Division is Little League’s adaptive baseball program for individuals with physical and intellectual challenges. Although VEA does not yet have an established full season challenger division, we are seeking interest to participate in VEA's first challenger game during our social weekend in June. The challenger game would be open to players age 4-22. The game would be a stress-free game with a focus of having fun. We anticipate that there would little to no cost to participate. If we get enough interest, we tentatively plan on having the challenger game June 1 at 5:00 PM. 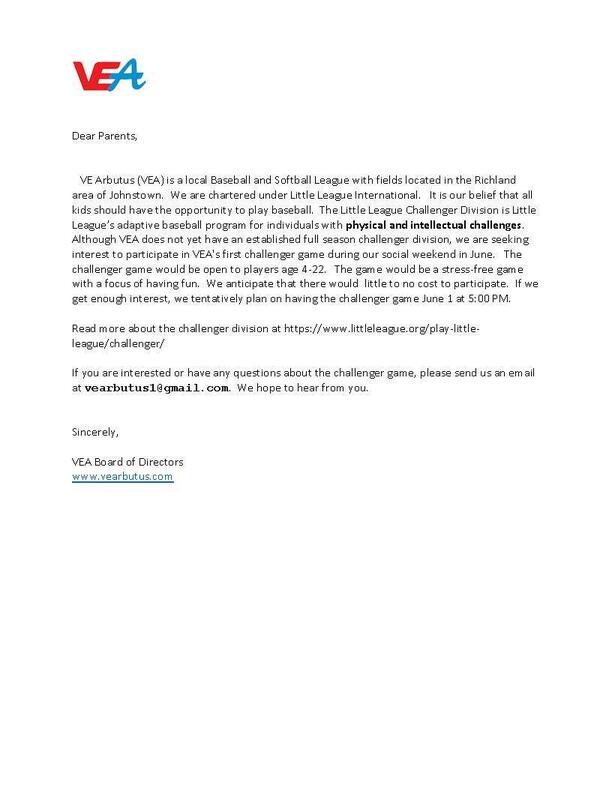 If you are interested or have any questions about the challenger game, please send us an email at vearbutus1@gmail.com. 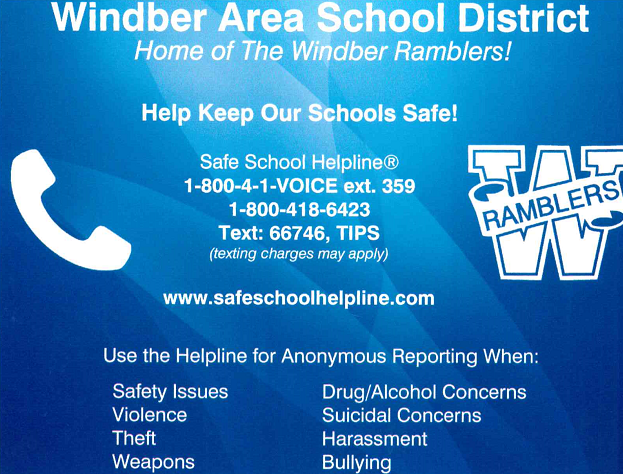 We hope to hear from you.